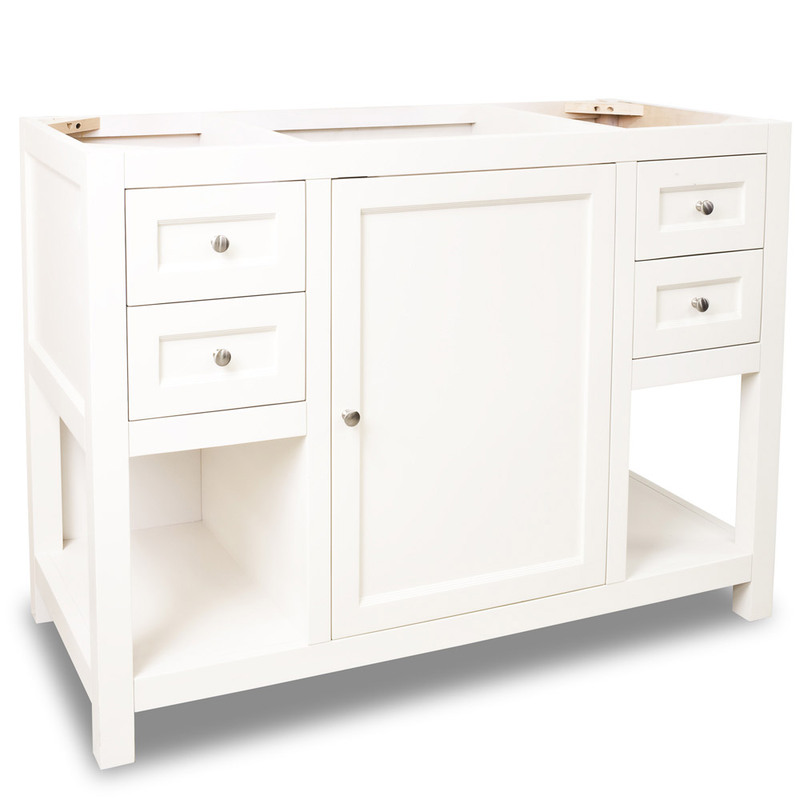 The 48" Welby Single Bath Vanity in white has a clean, contemporary look combined with plenty of functionality, making it a great addition to any bathroom. 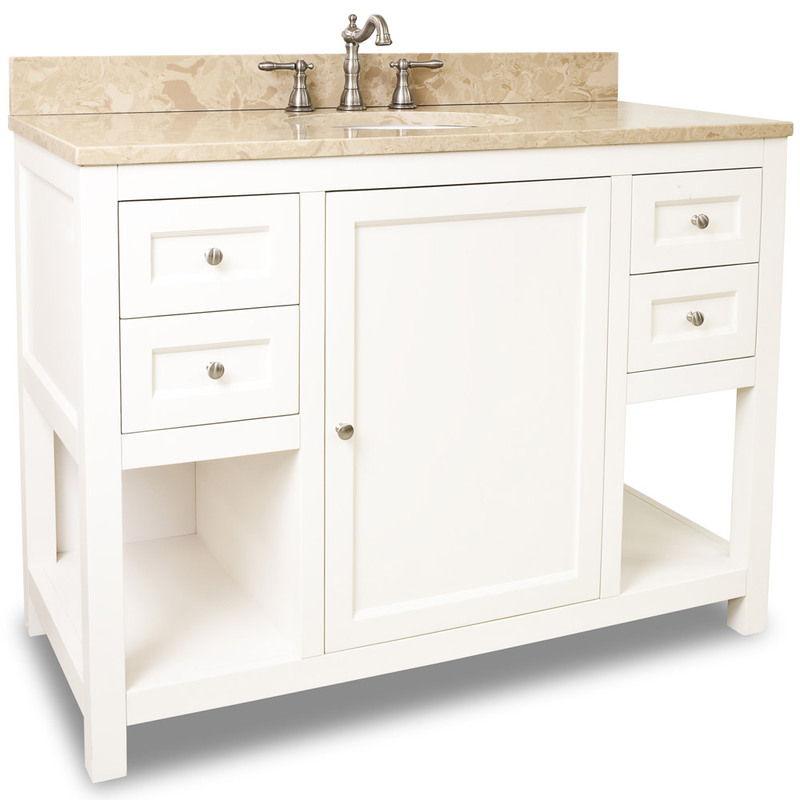 The white finish and cream marble top give the vanity a light, refreshing feel. 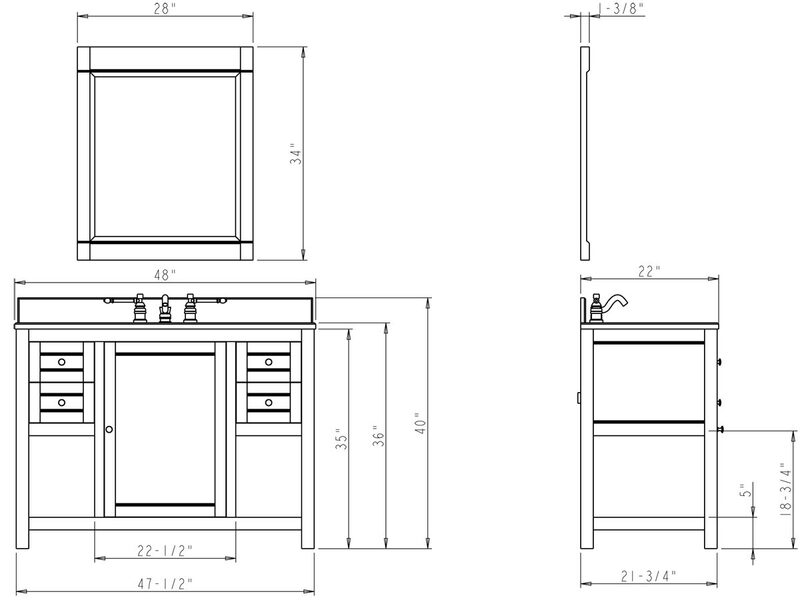 The counter top is incredibly spacious, giving you a lot of room to work with. 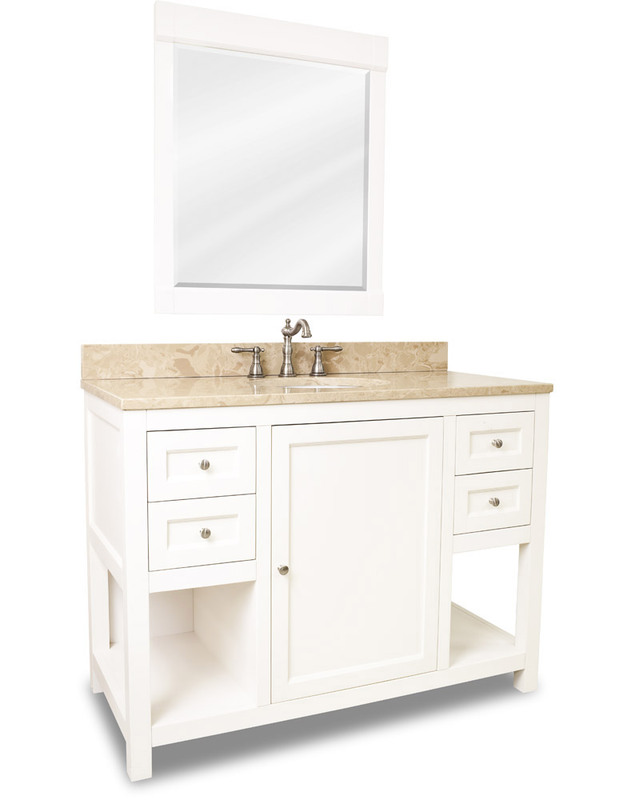 This vanity has ample storage and organizational options with its four drawers, two open shelves, and storage cabinet with adjustable shelf. The door and drawers are mounted with Soft Close hardware, preventing damaging and disruptive slams. 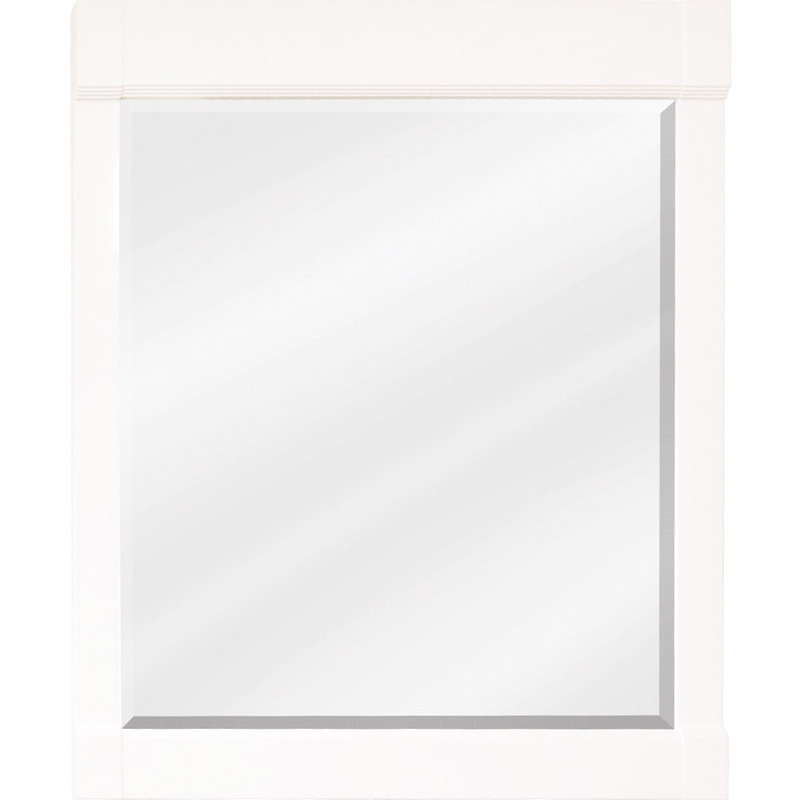 A matching framed mirror is available with this vanity to give your bathroom a complete contemporary look.